The busiest week of the season is here at last! The Big Tent is all setup and vendors are moving in. Customers will have to wait until Saturday to get in as the excitement builds and the strays roll in to camp in the surrounding desert. Remember to leave plenty of space between neighbors, run your generators only as much as is absolutely necessary during decent hours, keep control of your pets, and play nice. Everyone is there to have fun and enjoy the warmer temps so check the attitudes and mind your manners. Check the local radio station for cool tunes from OUR time. Tyson Wells Sell-A-Rama opens this week for more shopping choices. 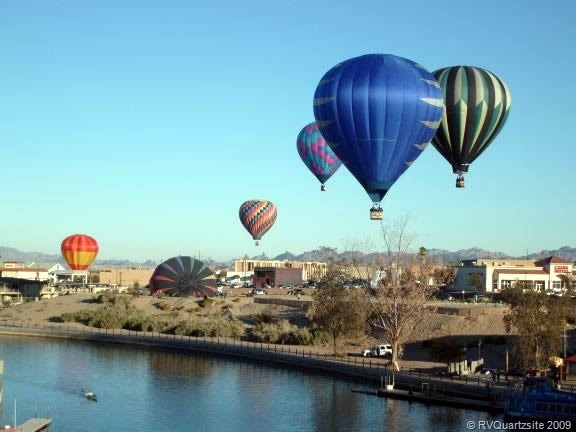 We have both the Havasu Balloon Festival and the Blythe Bluegrass Festival for entertainment. I love them both! Since they happen at the same time, you will need to do some planning to hit both on the best days. You may also want to plan to attend the QIA PowWow. You HAM operators will also want to make time for your Quartzfest. Decisions! Decisions! 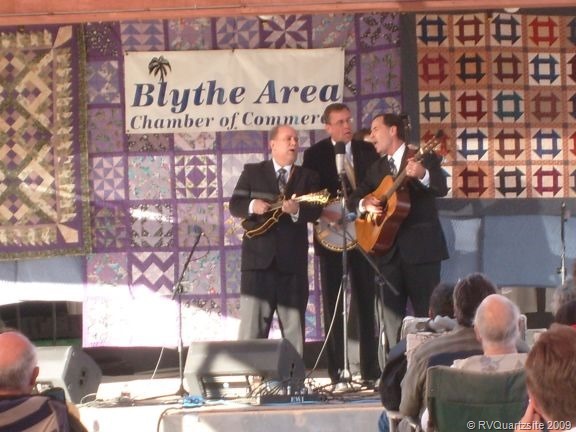 We also have the wonderful annual shows put on by Paul Winer for afternoon or evening entertainment. Oh my. So busy this week. Take it easy and don’t forget to kick back with friends this week.